Ray, our COO many years ago, used to start meetings with 10-15 minutes of chit-chat. While his intention was to promote socializing, the effect was late-arrivers, difficulty in focusing at the start of serious discussion, and low energy throughout the rest of the meeting. I’ve sat through meetings in which attendees fidgeted with their devices, worked on other projects, or left the room repeatedly to take other calls. Such behavior is a career mistake for the attendee and a costly timewaster for the organization. To end the meeting torture for all involved, whether you’re a participant or meeting leader, understand the meeting process and follow the flow well enough so that you can step into the gap and demonstrate your leadership skills as you guide a productive discussion. You’ll increase your chances to end with results, not excuses. 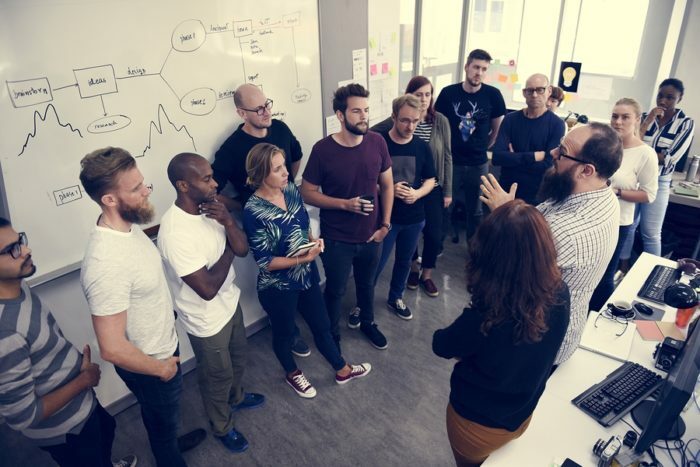 Either become that skilled facilitator, select a co-worker on your staff to lead the meetings, or ask someone in another department to trade-off facilitation roles with you. You run their staff meetings and they’ll facilitate yours. Meetings don’t lead themselves; they devolve into rambling discussions. As Charles Kettering, the famed inventor and head of research for General Motors, once stated, “A problem well stated is a problem half-solved.” If no clear question or well-defined problem has been posed, consider that your challenge. State it succinctly to focus or re-focus the group’s attention. Or, possibly the meeting is about identifying the problem. If so, then that itself is the focus. Start with the fact that you need an agenda. Yes, even for routine staff meetings. A meeting agenda is to a meeting what a foundation is to a skyscraper. The firmer, the better. State your agenda in question form, not topic form. Announce at the beginning of an important meeting that you plan to ask everyone to toss a name in a box as a vote for the MVP (most valuable participant) — the person who contributes in the most significant way during the meeting. If you like, you can buy their lunch for the day or a free drink. People compete not for the value of the reward, but for ego reasons. No matter what. No excuses. People believe what you do, not what you say. If you train them to arrive late by inconsistent start times, they learn to arrive on time inconsistently. If your meetings run late, they’ll feel no pressure to quash extraneous comments and repetitive rambling. Reconsider holding a meeting just because the calendar or clock says to hold one. But do meet periodically to identify communication attitudes, habits, policies, and practices that no longer work — or no longer work as well as they should. Although you can get routine input many ways (email responses, surveys, phone conversations), these issues can best be handled in a real-time meeting. Brainstorming together can generate much broader thinking and deeper questions that quickly become too cumbersome to handle in other ways. In addition to what you need to update, simplify, or stop altogether, identify new opportunities and improvements. If you OWN the meeting, make sure you know the cost and the expected deliverables: Only an analysis of a problem? A recommendation? A decision? Input to pass on to another group or individual? If you don’t know how much your meeting costs and you don’t know the expected meeting outcome, how will you know if and when to schedule the next staff meeting? Are you earning what you want on their time and yours?